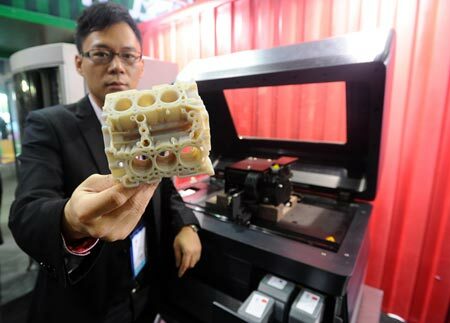 In early March Minister Chang San-cheng of Science and Technology ministry suggested using 3-D printers as a stimulus to increase students’ interest in design. Premier Jiang Yi-huah approved of the idea without hesitation. 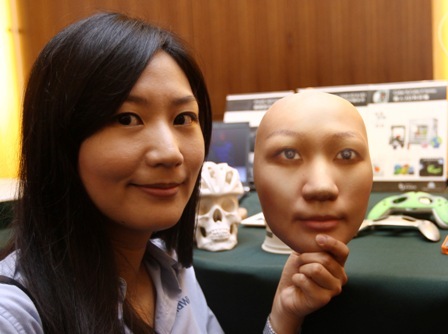 The Premier Minister ordered Minister Chang San-cheng to work out the funding plan in two months with a view of making 3D printing available for all the students all over the country. The ministers are sure that access to 3D printing will provide youngsters with better opportunities for studying, stimulate their interest in design and help to develop their talents. Some years ago developing some goods took a lot of time and depended mainly on businesses’ own manufacturing resources. Nowadays online social networks and 3-D printers have made the process quicker, a person doesn’t depend on manufacturers’ ideas. Production of items consists in just three steps. First of all, the inventor produces his creations with the help of digital desktop tools and 3D prints a prototype. After that, through social networks users are invited to estimate and discuss what the product and its design. Later the ready product is either 3D printed or a blueprint is sent to the manufacturer. Thus an idea quickly becomes the ready product. Three steps lie between the idea and the ready product. But a few years ago goods production required initial funding and capital firms were of great importance for they provided immense resources for the new company to start business. As soon as the products were ready, sales channels were required and they needed promotion and targeted only domestic market at the beginning. With the appearance of online fund-sourcing platforms funding has changed. The products are shown online and they invite customers to online shopping and leaving feedbacks. If something fails, a product can be changed according to the feedbacks. So the goods are sold right away via global Internet market. Nowadays Android is the leading operation system in the smartphone market. The concept it follows can also be followed in any field, including academic research and production of the usual goods, not only computer technologies. During open research people from different fields are invited to leave their feedback, thanks to which research is improved and developed and products are designed faster. What used to rely on government subsidy for R&D, or resources provided by major businesses, can now obtain more open resources and develop faster through social networks. As 3-D printers and other devices are used in computer numerical control are getting cheaper every day, people easily get access to various resources and produce prototypes without difficulty. There is no need in any business plans or product tests. A design or even prototype is placed right on the crowd funding website. This step has made it easier for young and small companies to enter business. Lots of fundamental projects and designs have been lost only because of the lack of funding for developing prototypes. Crowd funding platforms and social networks have brought endless possibilities for new manufacturers.